Would you like to know who the Romei were? What happened inside Castel Sant’Angelo? With Rome Saint Peter Tour you can study your map, spot the the starting point and start your art treasure hunt in the world’s largest basilica. We will walk beneath the sight of Bernini’s angels, discovering Castel Sant’Angelo, the former Emperor Hadrian’s mausoleum, transformed into a fortress by Popes. After walking along Via della Conciliazione, we wil end up in Saint Peter Square, core of Christianity, where a welcoming colonnade will enveloped us. With Rome Saint Peter Tour you’ll be walking among unicorns, lions and eagles, we will enter the Church of all churches, a temple of art and faith, where some of the world’s masterpieces, made by the greatest artists, are treasured. Challenge other participants, let yourself be lead and immersed in the historical framework and in the interesting stories each clue is linked to. 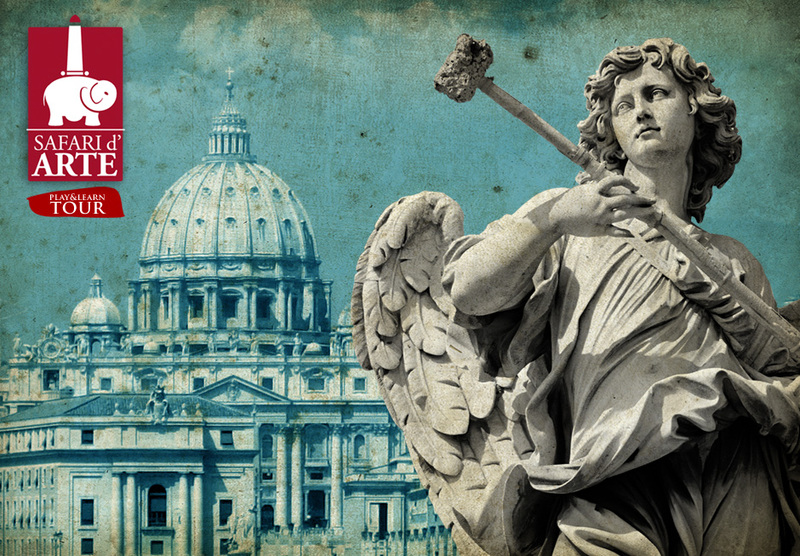 Become a real art treasure hunter with Rome Saint Peter Tour! Test yourself, play the game with your friends and other participants, then take the final quiz! This what you can experience by choosing this Safari d’Arte Rome Saint Pietro Tour!